At the height of the startup boom, journalist Corey Pein set out for Silicon Valley with little more than a smartphone and his wits. His goal: to learn how such an overhyped industry could possibly sustain itself as long as it has. But to truly understand the delirious reality of the tech entrepreneurs, he knew he would have to inhabit that perspective—he would have to become an entrepreneur himself. Thus Pein begins his journey—skulking through gimmicky tech conferences, pitching his over-the-top business ideas to investors, and rooming with a succession of naive upstart programmers whose entire lives are managed by their employers—who work endlessly and obediently, never thinking to question their place in the system. In showing us this frantic world, Pein challenges the positive, feel-good self-image that the tech tycoons have crafted—as nerdy and benevolent creators of wealth and opportunity—revealing their self-justifying views and their insidious visions for the future. 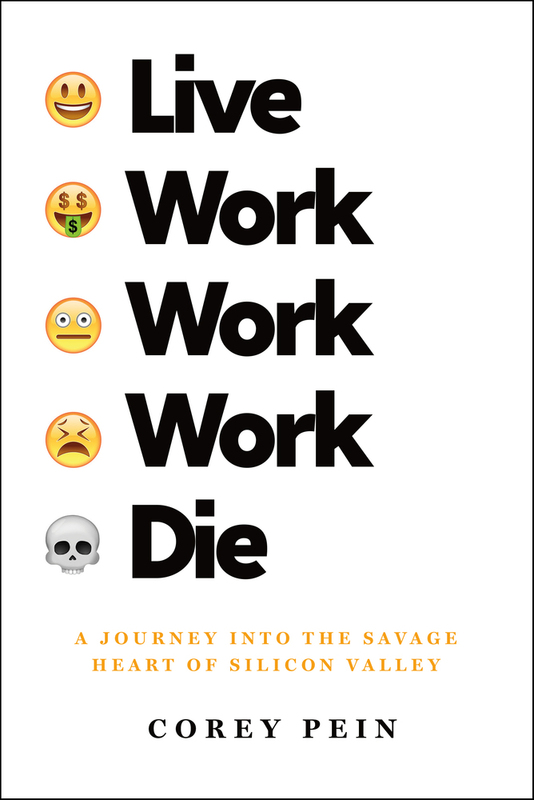 Vivid and incisive, Live Work Work Work Die is a troubling portrait of a self-obsessed industry bent on imposing its disturbing visions on the rest of us. “Irreverent and snarky . . . A Gulliver’s Travels of the current tech boom, Pein’s book is essential reading for anyone who thinks they might want to wade into tech’s entrepreneurial waters. His sharp outsider observations of the San Francisco scene and ability to nose out the intellectual influences behind some of its biggest players make Live Work Work Work Die one of the most complete snapshots of the Silicon Valley today. —Thomas Frank, author of Listen, Liberal and What’s the Matter with Kansas?